Otto and the Screaming Whiners is a band which Otto was a member of. 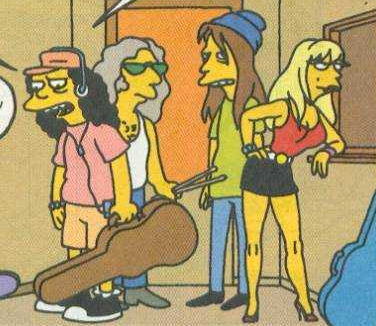 When Otto and the Screaming Whiners recorded their song after Lisa recorded her playing her saxophone, the recordings got mixed up. Otto then submitted the tape to a radio station which played the song and it became a hit in Springfield. Modified on June 16, 2017, at 16:42.